The Accmart USB Cable sound condenser Podcast Studio Recording Microphone Mic is really great. I have been interested in doing podcasts for awhile now and since I received this professional piece of equipment, I am well on my way. This mic comes with a universal USB plug cable that is compatible with most computers. The sound is really pretty nice. It is very clear and do not cut out at all. There isn't a lot of static. I actually said "Wow, that sounds good," when testing it. This is a Cat (Combat Application Tourniquet) Tourniquet. It would be perfect for any first aid kit, camp pack or bug out bag. You never know when the situation will arise so it is important to keep it close by for emergencies. This is one item that can literally save your life. This is the same tourniquet used in the battlefield to stop hemorrhaging. I love how there is an area right on the tourniquet to record the time the tourniquet is applied. In an emergency situation, time can get away from you and adrenaline is pumping and the memory can fail you. 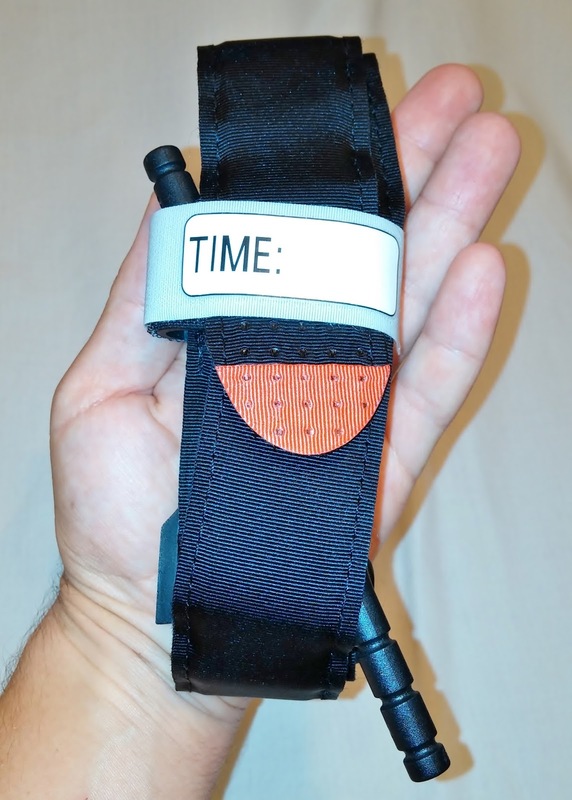 One of the first things a medical professional will ask is how long the tourniquet has been in place and if you record it right on the device, there are no questions. The company who has made this (Ari-ale-Tools) believe in their product so much that they offer a 100% money back guarantee but I see absolutely no reason why you would not be satisfied with it. It is well made and I truly trust it to be able to do the job if I ever need it (God forbid). What I like most about it is that you can use it even if you are alone. If you should be faced with a catastrophic injury, you can save your own life if you have to. I really have to say I'm reeeeally impressed with this motion sensor security light from Zitrades so far. When I got it, I unboxed it and put it right out in the sun for the day. That night I brought it inside and turned it on (the "switch" is inside a tiny hole on the underside of the unit. I was very impressed with the light output ... the low light is unobtrusive and because of the design, should not be an issue for neighbors or whatever ... yet when you pass by the 46 LED bulb light gets significantly brighter ... enough to easily see for quite a larger area. I set it up in my hallway outside my bedroom for the night. Any time I went into the kitchen from the living room, the light got brighter ... so the sensitivity of the motion sensor is spot on. Late that night, I went to the bathroom and the light was still going strong ... which is plenty long enough and that was pretty impressive to me given that many solar units only work for a few hours after dark. The unit is reasonably light and I can tell it will be very easy to install. I can only say at this point that I totally expect that this unit will be everything I want it to be. 2.) 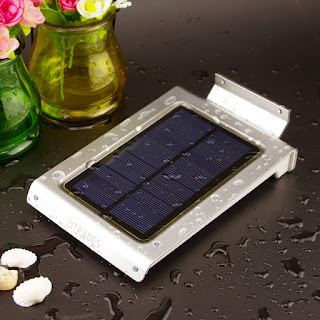 Includes a rugged Aluminum mount that can be securely affixed that also allows quick removable access. 4.) Quick release mount allows this light to double as an emergency flashlight for indoor or outdoor use. 5.) Quality Weatherproof Aluminum Metal Housing with an Excellent LED defuser giving a less harsh light output. 11.) I use it in conjunction with my 1080P Security Camera's allowing them to record much clearly images. Cons: I really haven't found any "yet" other then the investment of a little more money to have a brighter and more capable security light. 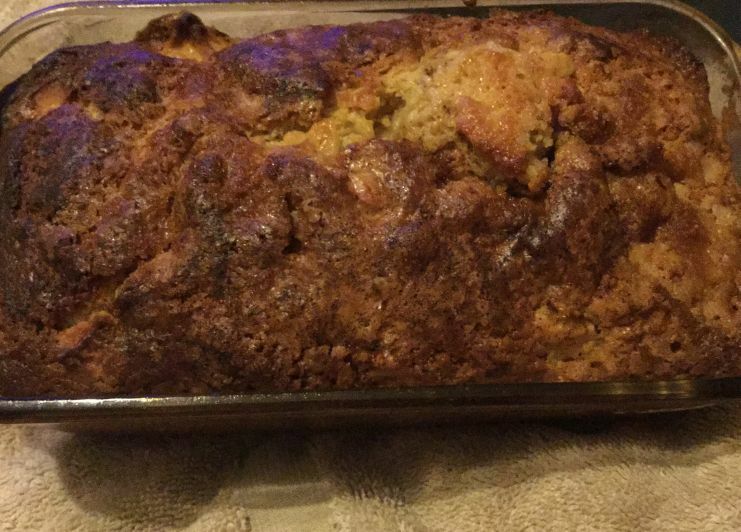 Whenever we have extra apples in the house my teenage son begs me to make Apple Bread. When I do make it, I make two loaves because between the three males in my household, one loaf is gone in a sitting. The finished loaf. We like the top a little dark. Preheat your oven to 350 degrees and spray a bread pan with cooking spray. 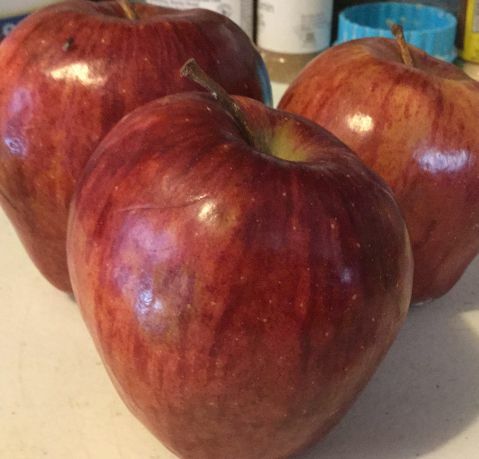 Now take your three small apples and peel, core and dice them. 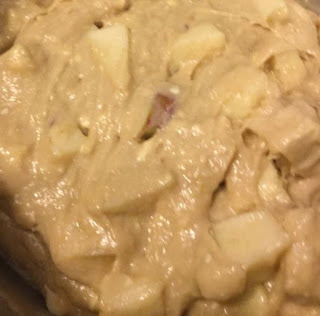 We used Red Delicious Apples but you can use any kind you want. I dice mine into bite sized chunks. Now take 1/3 cup of the brown sugar and put it into a small bowl. Stir into the brown sugar the cinnamon, cloves and nutmeg; then move the bowl out to the side. 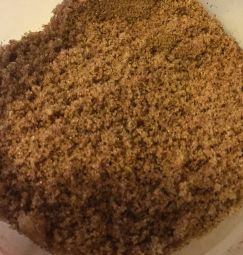 Our brown sugar mixture (brown sugar and spices). 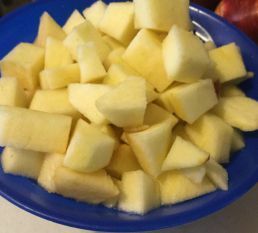 In a large bowl, mix together the rest of the ingredients together (including the apples). It will make a thick batter. Pour 1/2 of the batter into the bread pan and spoon on half of the brown sugar mixture. Pour in the rest of the batter and then sprinkle the rest of the brown sugar mixture on top Bake for 75 minutes. We like our top to be really crunchy. If you like yours lighter, cut the baking time down by 10 minutes. The crunch of the topping is a really great with the soft, moist inner bites. 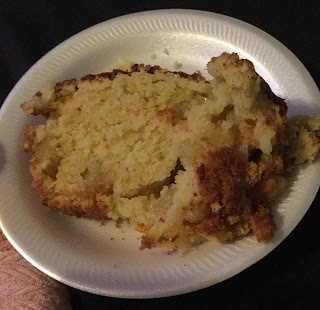 A slice of delicious Country Apple Bread. If you love HOMEMADE Bread be sure to check out my recipe to cook 2 loaves of homemade bread in one hour (start to finish in 1 hour, including raising time). This month (September) is National Preparedness Month so to encourage you all to prepare I have teamed up with a great group of blogs to bring you a giveaway. I encourage each of you to look through my blog and utilize the resources I have shared over the years (prepping, dehydrating and canning, farm life, etc.). Another great resource is on Ready.gov. 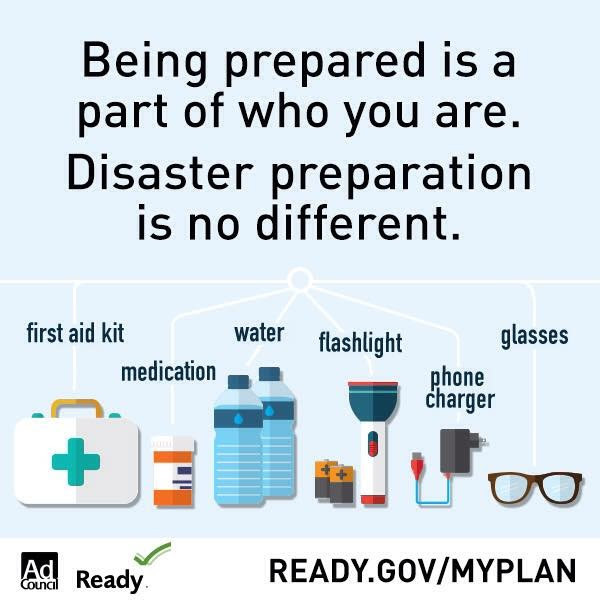 They have resources there to help you create emergency prep plans for your family. 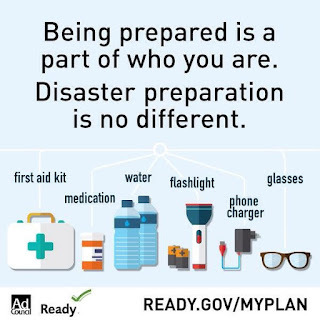 The Family Communications is an important page on the site because it tells you how to be ready for situation in which your family members may be apart (some at school, some at a job) when disaster strikes. And for those who have animals (like we do), the Caring for Animals page on the site helps you prepare for your pets too. Finally, be sure to check out this PSA about preparedness. It is a short 2 minute video showing people with disabilities taking charge to prepare themselves and their families for emergencies. Now, here is your chance to win a $100 gift card.